Almost everyone has suffered from stress at some point, whether at work or in their private lives. However for many people it can become an intolerable, ongoing condition that causes ill health and problems at home and work. 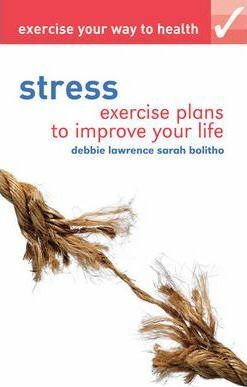 This clear, concise and user-friendly guide is designed to help people manage and reduce their stress. Beginning with the causes of stress and how the body responds, it goes on to offer a range of techniques and resources that can help people take control of their lives again. As with all the Exercise Your Way to Health guides, there is a substantial section containing detailed, step-by-step exercises. Designed to relieve the symptoms of stress, they are also vital aids to tackling the causes, providing relief from a condition that can be as devastating as it is widespread.